Did you ever wish you didn’t have to sort through all the thousands of poems that have been written over the years to find the best of the best? Cheryl Lowe has done the work for you in these new anthologies, including three volumes of British poetry and one volume of American poetry and short stories from the 19th-20th Centuries. 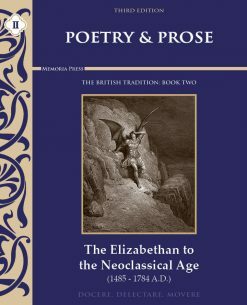 Poetry & Prose Book Two: The Elizabethan to the Neoclassical Age is the second anthology in our British Tradition series and features works from the years 1485-1784 A.D. The anthology covers the English Renaissance, the Cavalier Poets of the early seventeenth century, the great Puritan writers, the Restoration period, and the Neoclassical Age. Introductions for each time period and a short biography about many of the writers are also included. Did you ever wish you didn’t have to sort through all the thousands of poems that have been written over the years to find the best of the best? Cheryl Lowe has done the work for you in these new anthologies, including three volumes of British poetry and one volume of American poetry and short stories from the 19th-20th Centuries. 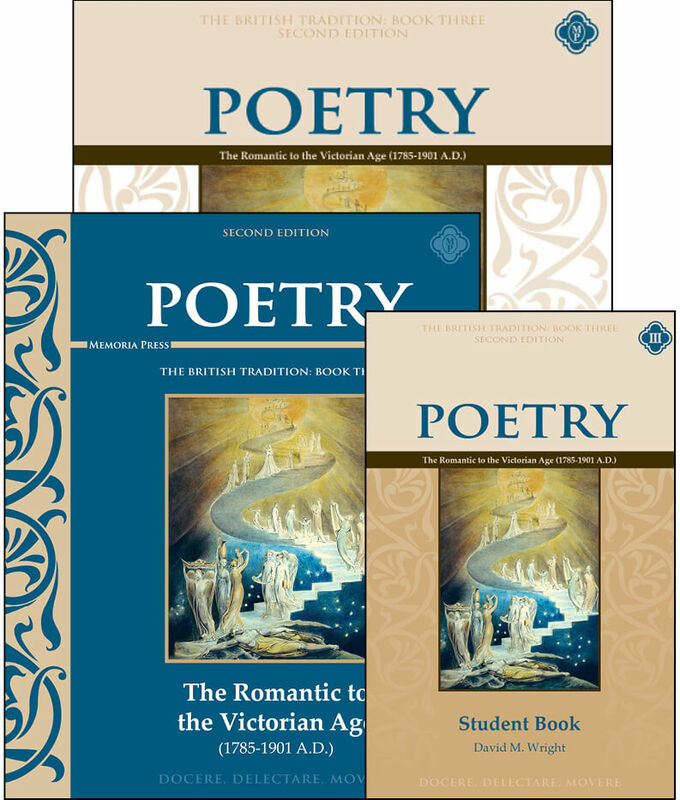 These anthologies will be a great supplement to your student’s literature studies in these time periods. 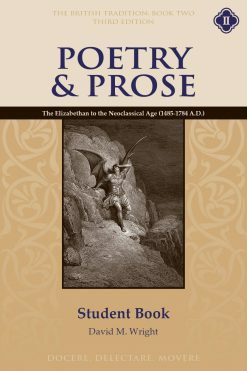 Poetry & Prose Book Two: The Elizabethan to the Neoclassical Age Set features poems from the Elizabethan to the Neoclassical Age (1485-1784 A.D). 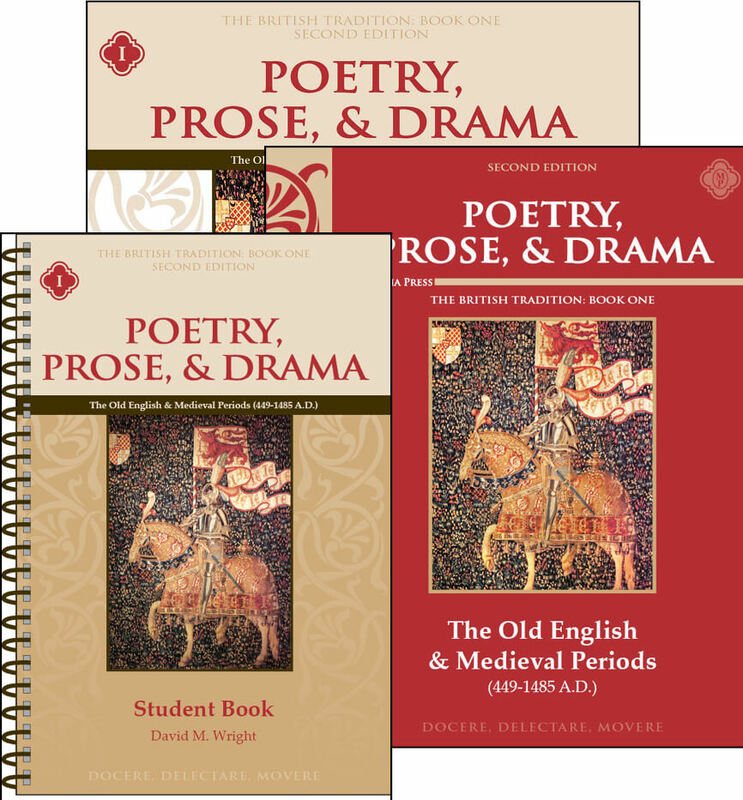 The set includes Poetry & Prose Book Two: The Elizabethan to the Neoclassical Age anthology, Student Guide, and Teacher Guide. 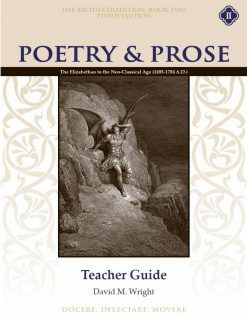 The anthology contains introductory readings that provide background information and historical context for the works as well as short introductions for each poem. The student book contains notes and instructions to the student, definitions of basic features, and an explanation of how to mark a book as well as pre-reading questions, reading notes, words to be defined, comprehension questions, Socratic discussion questions, and essay prompts. The Teacher Guide features notes and instructions to the teacher, and contains the answers to the questions found in the Student Guide as well as the Tests and Test Key.